The Phillies are currently embroiled in a back-and-forth pennant race that could see the upstart team poach a playoff spot and make an improbable run (sound familiar?) ahead of schedule. But in the long term, this season represents the beginning, not the peak, of what the franchise has been pursuing since blowing up its World Series core. One thing that might help the team accelerate its journey to that peak is a big free agency this winter, and what bigger prize would there be than Bryce Harper? According to very-plugged-in, only-tweets-in-lower-case MLB reporter Jon Heyman of Fancred, at least one rival GM believes Harper could be Philadelphia bound this offseason. In a column about the free agency fates of Harper and near-Phillie Manny Machado, Heyman said the Phils are expected to pursue both superstars after this season’s over in an attempt to bolster an offense that… needs bolstering. One big hurdle in signing Harper, or Machado, or both (!) is the ever-present New York Yankees’ checkbook. Heyman’s column is centered around mutual interest between the team and the stars, and what — if anything — could derail at least one of them ending up in pinstripes. As it turns out, the Phillies could do just that. “The team with the best chance to sign one or the other may be the Phillies, who have big bucks to spend after signing a monster TV deal that positions them to be perhaps the biggest players next winter,” Heyman writes. Heyman said at least one Phillies-connected source expects the team to talk to both free agents, and didn’t rule out the idea of signing both (can you imagine? ), but he made Harper sound a lot more likely than Machado. 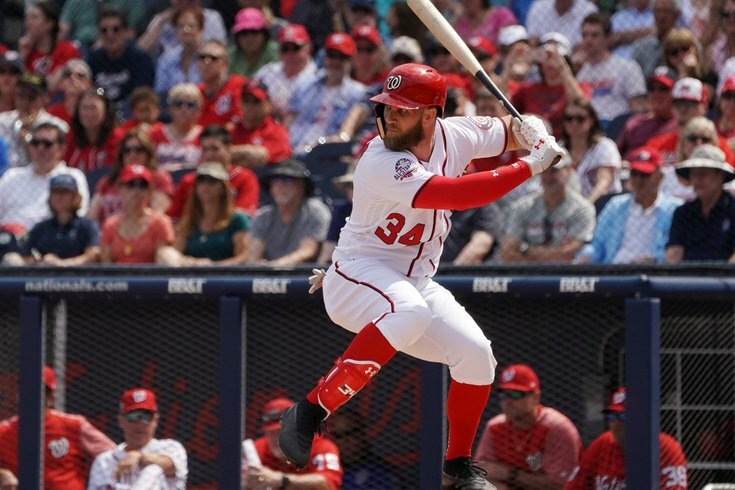 Harper, who turns 26 this October, has 180 career home runs and 500 career RBI and slashes a career .280/.386/.516. He won the NL MVP award in 2015.